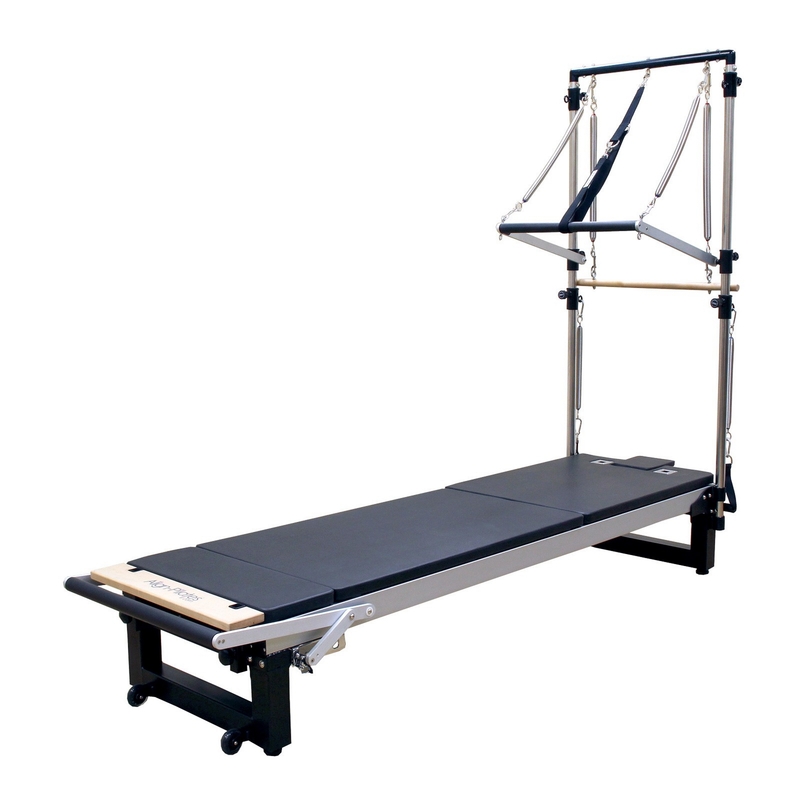 Buy your A2R Reformer complete with stainless half cadillac tower and accessories and save yourself some money and time. 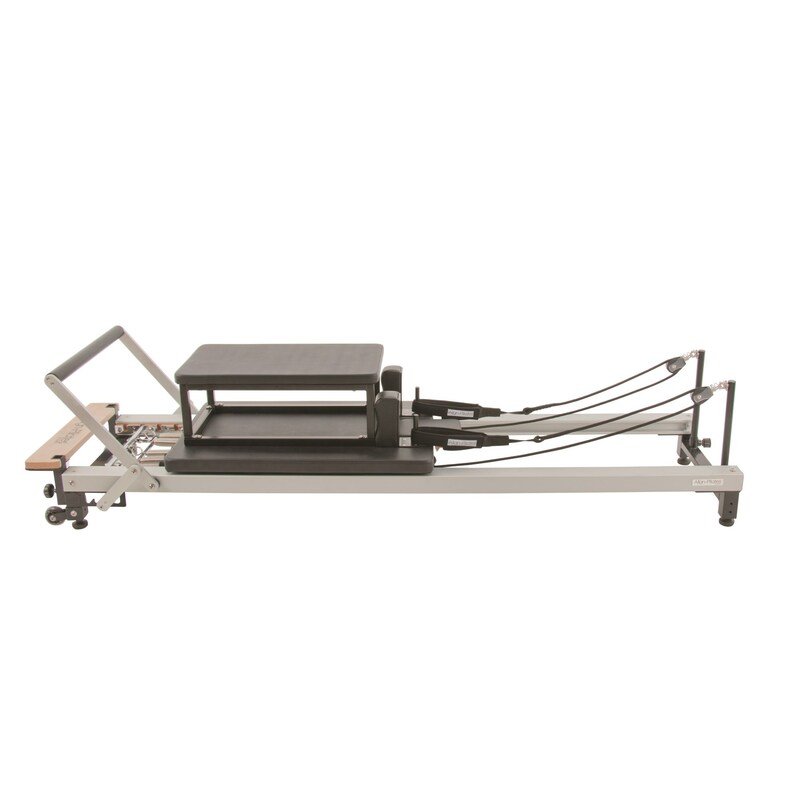 Wider & longer carriage (67cm x 90 cm) for improved comfort and to a suit a wider range of body sizes than other reformers. Stainless rope risers for rapid adjustment of rope heights. 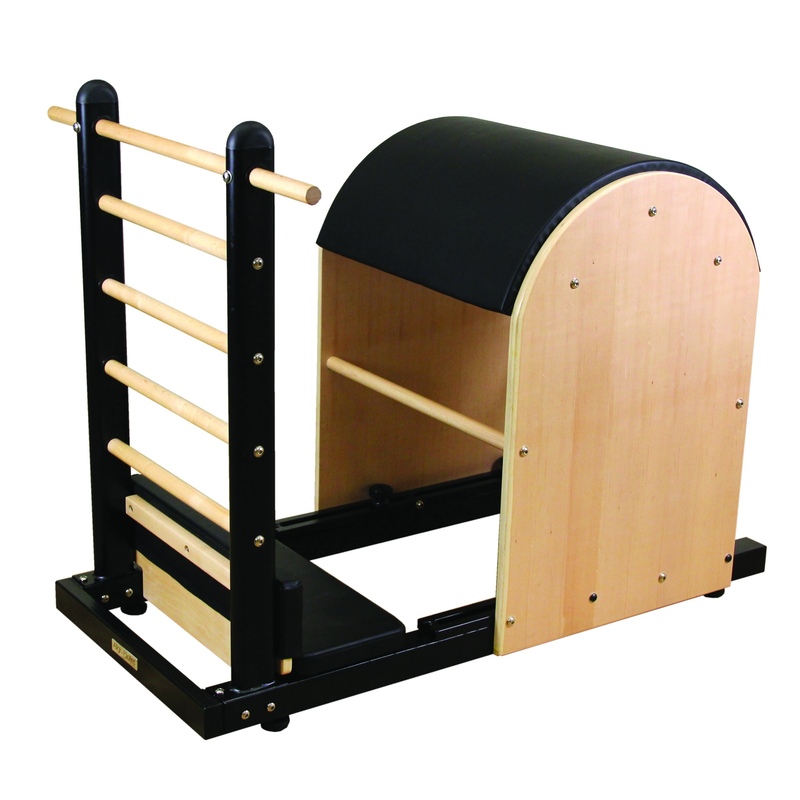 Risers fold down for use with half Cadillac and feature an eyelet so that springs can be attached to additional exercise possibilities – like a mini half Cadillac. 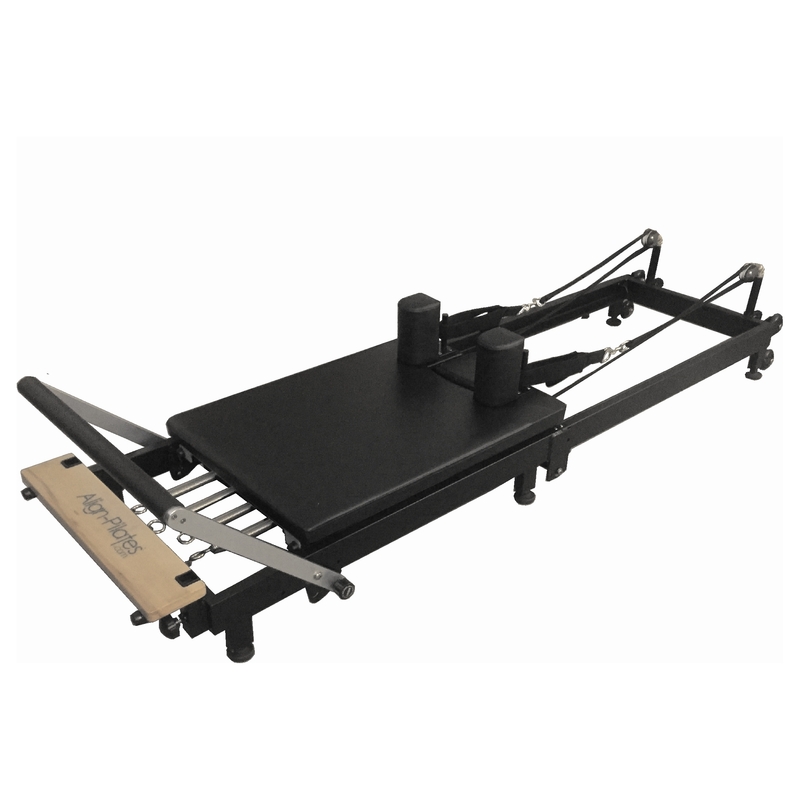 Adjustable feet to ensure the reformer sits flat and runs true even on un-level floors. Convenient Stackable and wheeled for easy moving.